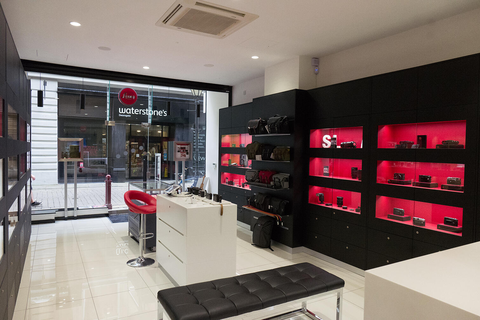 Located in the heart of England’s traditional industrial heartland, Leica Store Manchester is the United Kingdoms only independent Leica Store. Located in the hustle and bustle of St Ann’s Square in Manchester City Centre with its mix of new and Victorian architecture it is the perfect sanctuary for the Leica Enthusiast, professional and curious photographer alike. Operated by Stephens Premier Limited, a family company now in its 3rd generation who have sold Leica Photographic Equipment in Manchester for over 50 years. 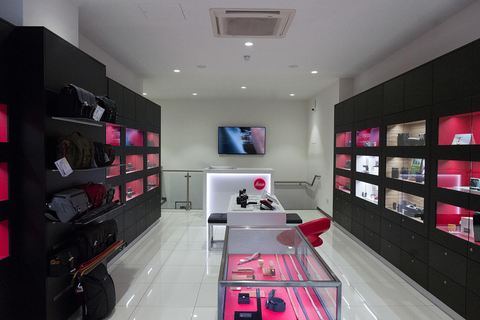 Our knowledge and experience is second to none and our new partner store embodies our love for Leica and passion in promoting the Leica brand and experience. We also offer Akademie courses, photo walks and photography tours for our customers so that you can be inspired to get the most from your Leica Camera. Leica Store Manchester is also home to the world famous “Stammbaum” family tree from the previous home of Leica AG in Solms, Germany. It is a unique piece which shows the development of the Leica camera from the revolutionary Ur-Leica from 1914 up to the state of the art current Leica M-P; it is a must see for any Leica aficionado. Our beautiful store offers the full Leica range of cameras. lenses, binoculars, accessories and boutique items along with carefully selected items from other manufacturers such as Billingham and Artisan and Artist to give you the best possible experience from your Leica equipment. Our aim is to give the very best advice and passionate service to all of our customers encouraging you to liberate your creativity, share your passion and stories and be inspired. The Northern Quarter has long been an area of extreme cultural importance to Manchester. Emerging in the late 18th century as the powerhouse of the Industrial revolution, the area bustled with the mills, warehouses and merchants houses that fed the global cotton industry. Yet following the decline of ‘Cottonopolis’ in the mid 20th century, the once thriving area fell into decay; the industrial buildings left to rot in a forgotten corner of the city. Thanks to Manchester’s burgeoning creative scene of the late 20th century however, The Northern Quarter returned to prominence as the beating heart of the city, and is now widely recognised as the City’s underground cultural hub. The striking industrial architecture that once powered the global cotton trade now houses an altogether different kind of industry; with some of the world’s best bands, DJs, artists and fashions found in the area’s various bars, gig venues, clubs, galleries and boutiques.